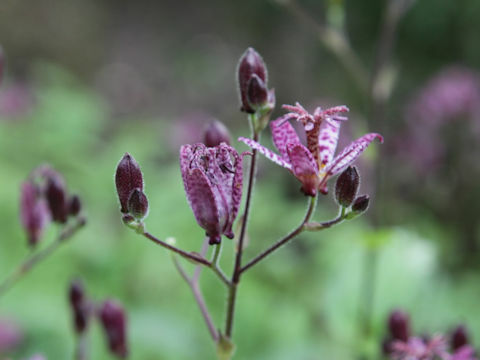 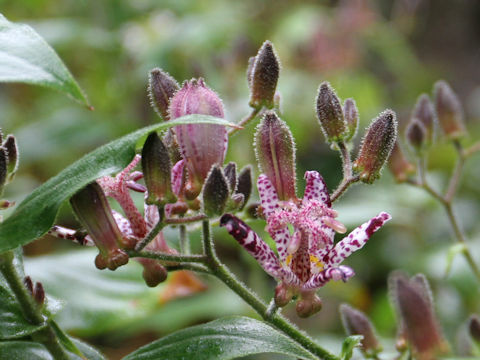 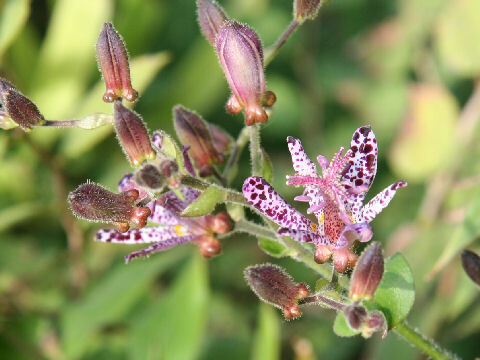 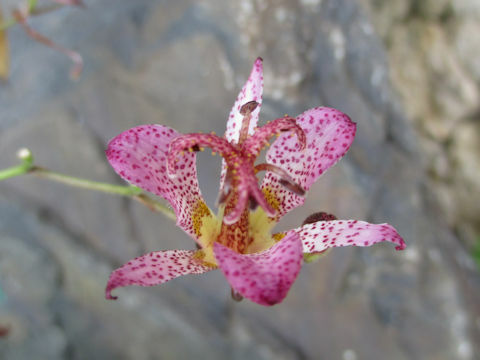 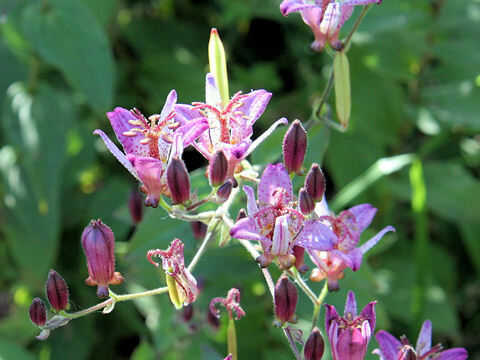 Toad lily (Tricyrtis hirta) belongs to the Liliaceae (the Lily family). 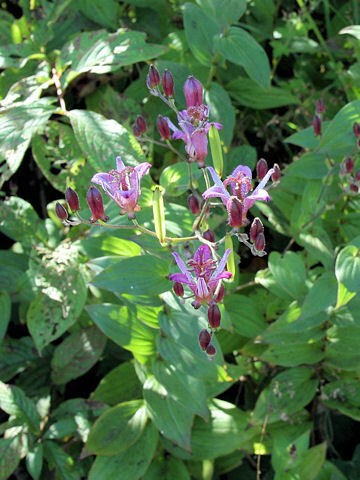 It is a perennial herb that is distributed in southwest Hokkaido, and westward from Kanto district to Shikoku and Kyushu. 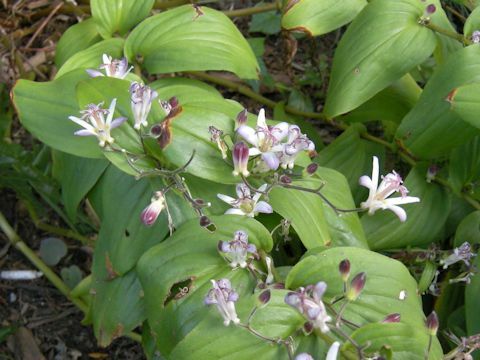 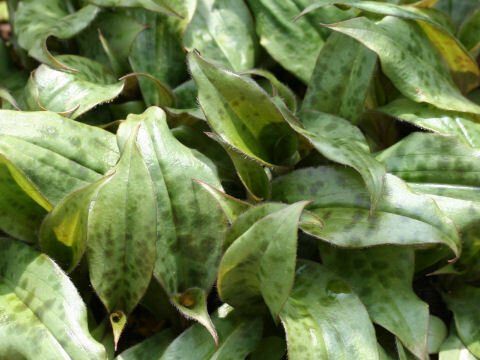 This herb grows in the mountains and can reach 40-100 cm in height. 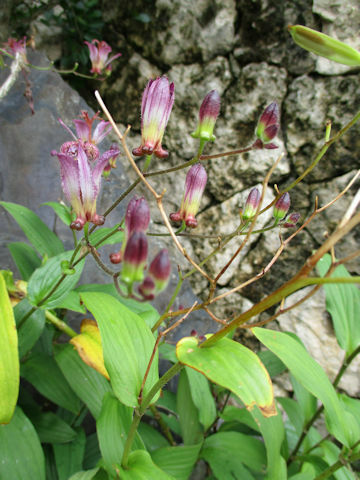 The leaves are oblong to lanceolate and enfold stems. 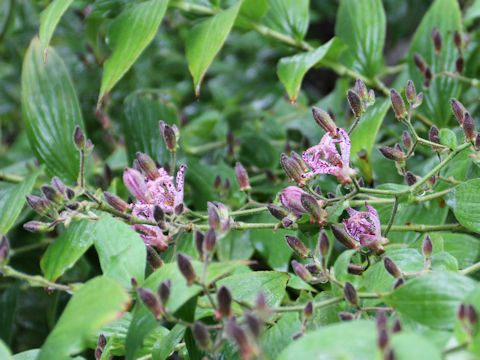 1-3 flowers come in the axiles from August to September. 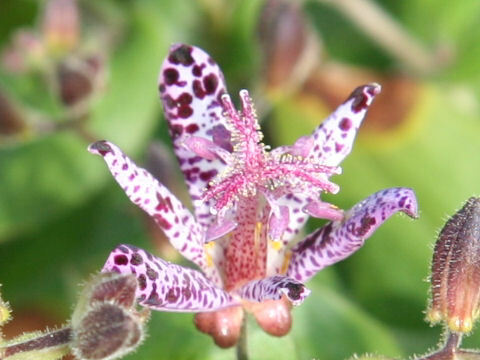 There are six tepals with magenta spots on the inner sides and yellow maculas on the down sides. 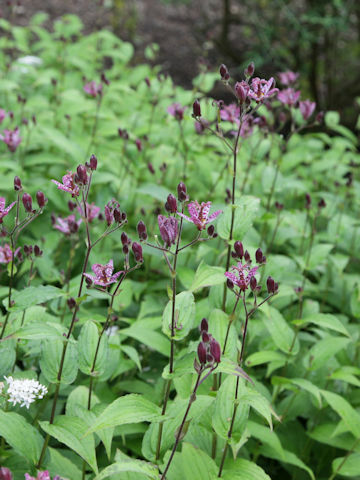 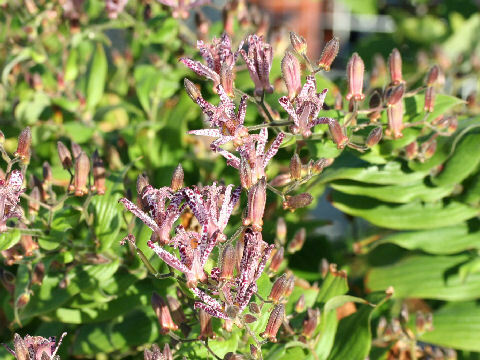 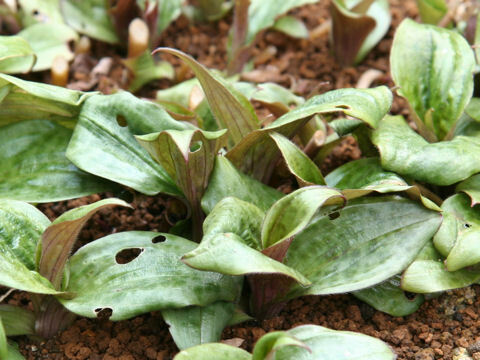 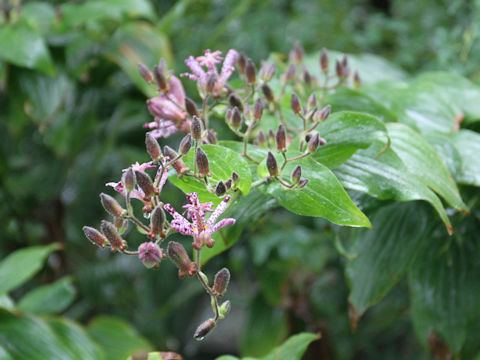 This herb has been cultivated in Japan from ancient days.